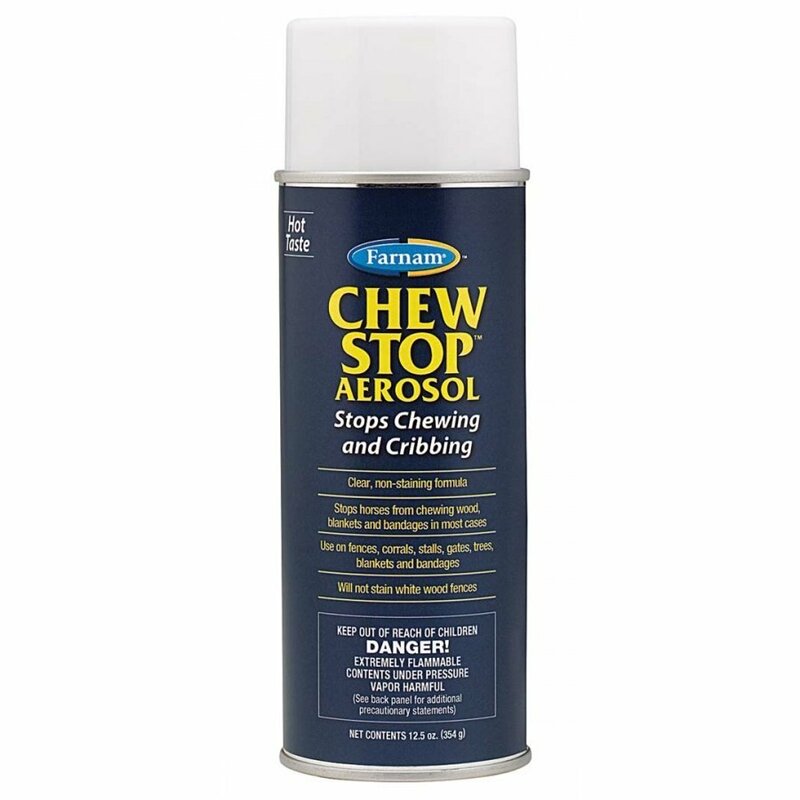 Spray, paint, roll or brush on surfaces where horses chew, such as fences, corrals, stalls, mangers, gates, posts and tree bark. Clear liquid won't stain white fences or discolor other painted surfaces. 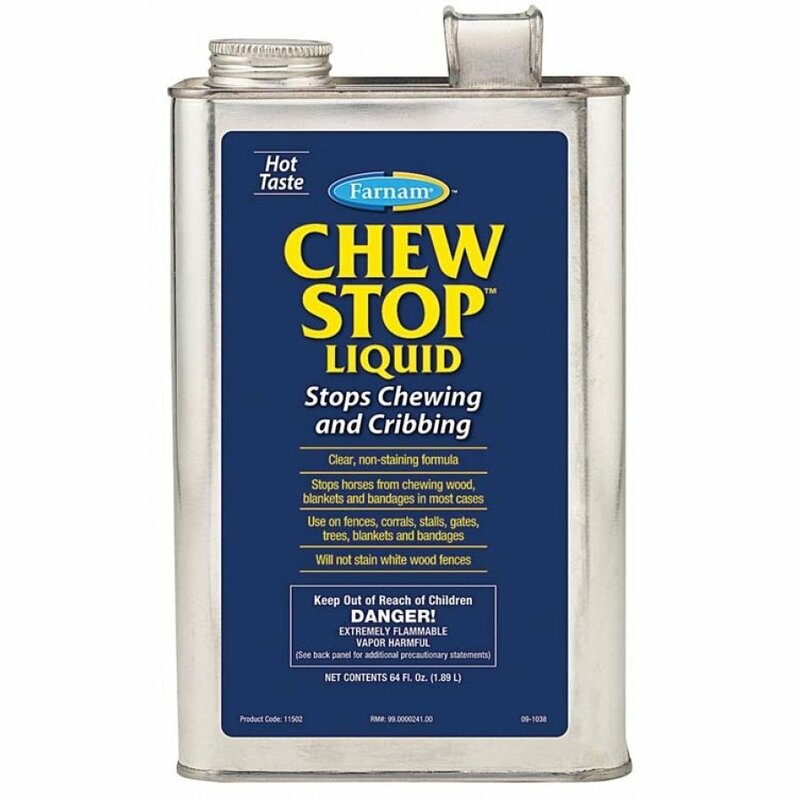 Chew Stop by Farnam has different options and/or variations, please choose below. Clear liquid won t stain white fences or discolor other painted surfaces. Made in the usaCinnamic Aldehyde.